A gem of Guerlain’s classical collection, Vol de Nuit is a miniature universe. Smelling it, I am transported to a wood-paneled library. The gilded leather bound books, the honeyed scent of beeswax candles and the warmth of the fire are evoked by its balsamic and leathery notes. The baroque oriental base of Vol de Nuit cradles a luminous orange blossom and narcissus. Perfumer Jacques Guerlain created Vol de Nuit, “night flight”, in 1933 as an homage to the brave aviators of the 1920s. The French company Aéropostale was one of the first operations to fly the mail from continent to continent. The chief pilot of Aéropostale’s operations was Antoine de St. Exupéry. After serving as a French combat pilot during World War I, he wrote several books, among them Wind, Sand and Stars, Night Flight and The Little Prince. He disappeared during World War II while flying a reconnaissance mission in 1944. Vol de Nuit was named after a novel by Antoine de Saint-Exupéry. The bottle is emblazoned with the shape of French Air Force wings and has a dark amber color. The extrait de parfum is my preferred concentration for the richness of its accords. The eau de toilette is thinner and fresher, but still excellent. Vol de Nuit is a shadow of itself, from the rather flat citrusy start to the pale musky-mossy drydown. While the original is tinted in dark greens, rich browns and ochre, the new one is grayish-brown. In the late drydown, the sweet cinnamon note provides most of the tonality. Will update later with a review of EDT which is somewhat differently balanced than the parfum. The interesting thing about Vol de Nuit Eau de Toilette is that while thin, it gives me a better sense of the original Vol de Nuit structure than the parfum. All of the elements are in place, and while they are lighter, the beauty of Vol de Nuit is evident. In any case, I have a hard time liking the new Vol de Nuit because it is so far away from what it used to be. Given the new restrictions on materials, I can only imagine what an impossible task this reformulation must be. Guerlain Vol de Nuit includes notes of orange, mandarin, lemon, bergamot, orange blossom; jonquil, aldehydes, galbanum, vanilla, spices, oakmoss, sandalwood, orris and musk. I read your entire blog last night, and loved every word of it! But, I wondered where your review of my beloved Vol de Nuit was. You must have read my mind, because here it is in today’s posting! You know, I love Guerlain, but I “hate” Guerlain, too. I am so tired of them discontinuing historical parfums like Apres L’Ondee. I get entirely disgusted, with a capital “D,” when they refuse to make the entire fragrance range. How about an EDP version of Vol de Nuit or Parure (my other favorite) or any of these other classics? A body lotion, maybe? How about some soap, folks? I have Mitsouko and Jicky in EDP strength, but as far as I know, those are the only two classics that you can find in EDP. What a shame! 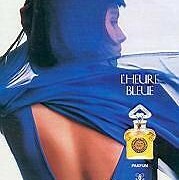 I suspect that I would like Chamade and L’Heure Bleue a heck of a lot better if I could get my hands on an EDP. Plus, parfum is very costly. Not all of us “working broads” can afford the extraits, even the 1/4 oz. size. Anyway, back to Vol de Nuit. I do have a small decant of the extrait, which is divine. Otherwise, I use EDT. I admit it smells more alcohol-y (is that a word? ha, ha!) to me, but I love it. I think VdN is one of those fragrances that a woman has to grow into, as it is a very mature fragrance. I would not have worn it, even liked it, in my twenties. But now being, shall we say, of a certain age, I can appreciate its timeless beauty, depth and voluptuousness. Diane: Hello, dear N, V, and R!! *huge triple wave* Dear R, ITA with your sentiments re: Guerlain. They are quite an annoying lot, aren’t they? BRING BACK APRES L’ONDEE PARFUM!!!! mreenymo: $39.??? I’m there! Thanks, darling. I have never, ever seen L’HB in EDP at any of the upscale department stores that carry Guerlain. For example, last time I checked, Nordstrom has the EDT and parfum. That’s it. So this information is very helpful. 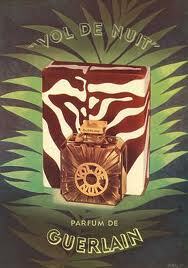 julien: I adore the old guerlain. Does anyone know the new guerlain like Rose barbare,Cuir beluga and angéliques noires? I have had the opportunity to smell them many times and i must confess they are quite disapointing,except CUIR BELUGA which is so sweet,a white leather,very powdery,creamy,gourmand…a background à la SHALIMAR…. julien: Well…angéliques are flowers very difficult to put in a fragance because they are too fragile. In the new guerlain,it’s a spiced flower perfume,with a lot of amber background. Recalls me something like EN AVION of CARON.